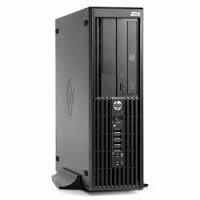 Pick up a brand-new HP Workstation at an exclusive low price, courtesy of ITC Sales. We specialise in the highest-quality factory refurbished and cancelled stock, giving buyers the opportunity to invest in a powerful, reliable and fully guaranteed HP Workstation for the lowest possible price. Backed by a full three-year warranty and available right now for immediate dispatch, don?t miss out on this exclusive opportunity to snap up a bargain.